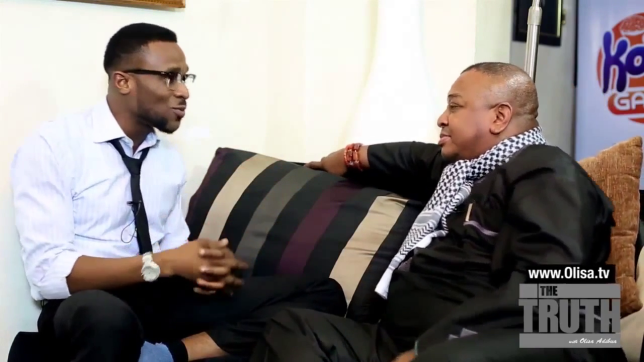 Yesterday, the second half of D’banj‘s interview on The Truth With Olisa came out. If you think part one was hot, then the second part cane be described as fireworks. For once someone was able to break D’banj’s demeanor and hit a raw nerve. We’ve never seen a D’banj like this. For large parts of the interview he was rattled thanks to Olisa’s questions strategy. Just like the first part, the second has a bunch of revelations. Below we have listed ten things we learnt while watching the heated interview. How he got Kanye to appear in the ‘Oliver Twist’ video. Don Jazzy and D’banj can hook up again if the money is right. He was the one who asked for the infamous interview with the President of Nigeria. Will do the Jonathan Goodluck interview again if he has the opportunity. D’banj revealed that Kanye West said GEJ looks like a pimp. The superstar has two farms. D’banj gets very touchy when you challenge the number of hits he has had since the Mo’ Hits breakup. Koko Garri was Don Jazzy’s idea. Claims that his line of mobile phones Koko Phones are sold out. Allegedly swindled of $2m by a friend who mismanaged one of his companies.